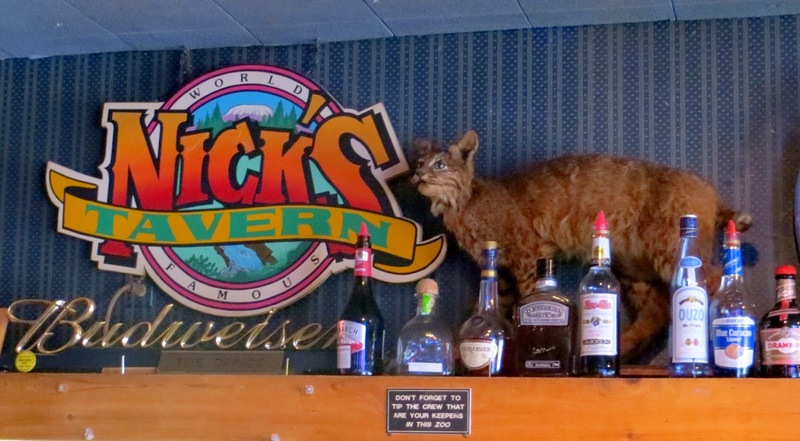 "World Famous Nick's Bar and Grill" in Amboy, WA, just 4 miles up the road from "World Famous Red Fir Inn" in Yacolt, closed in December 2013, three months after its owner Jimmy Hill died and seven months after this visit. 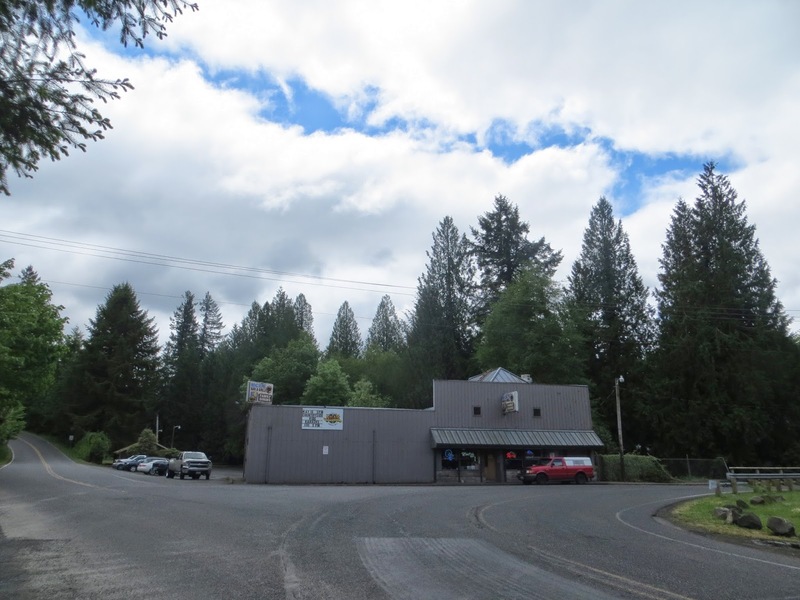 When it closed it was noted that it was the "oldest bar in Amboy," which really only means it is older than Timbers Saloon up the road, but nevertheless it has a long and storied past. Previously called White's Tavern, the bar was purchased in March of 1951 by Jimmy's Uncle Nick Iverson. 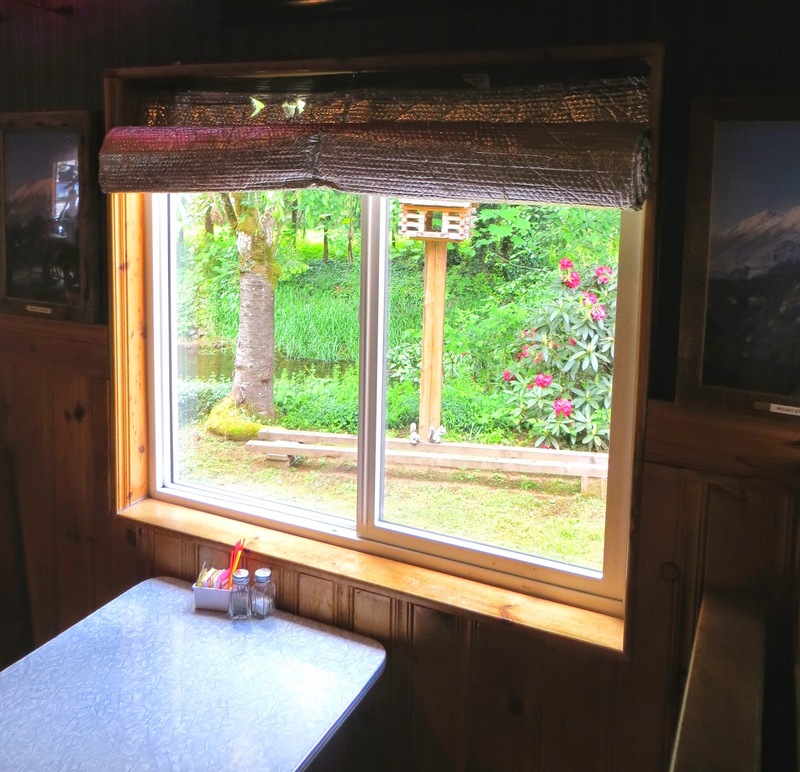 In August of that year, the tavern nearly burned down with the other buildings around it, but Nick's was saved, Jimmy said, by workers on the Dam covering themselves in wet blankets and throwing buckets of water to save their local watering hole. (Jimmy Hill, Nick's Facebook). I do not know how long White's Tavern had been there, or any history of the place before it became Nick's. Clark County tax records do not provide a construction date for the building. 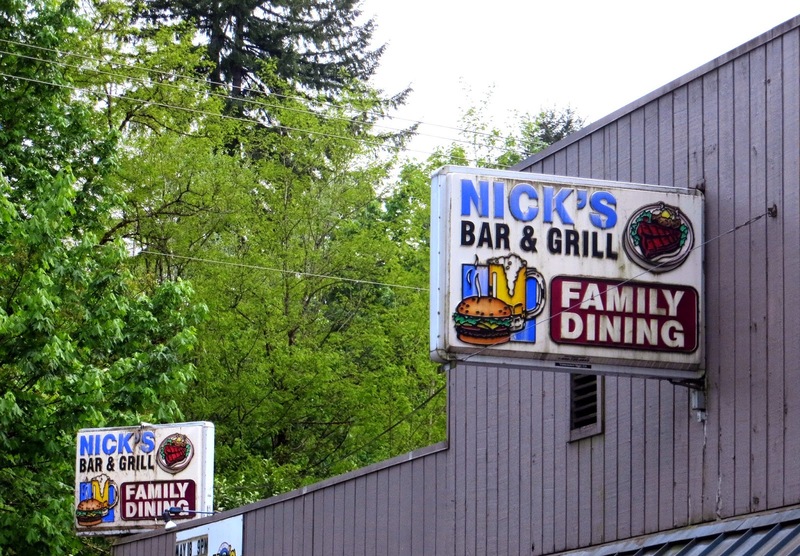 Fortunately, the Facebook page says that they're reopening Nick's, apparently sometime in early May 2014. 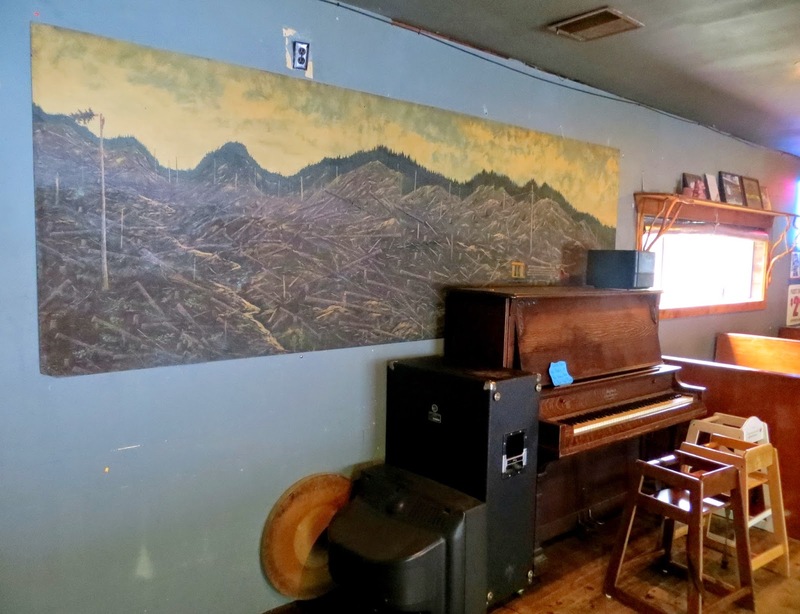 Assuming it will be much as it was before, Nick's will contain a diner portion, a bar serving the basics, and a relatively large area for live music and dancing. It is a favorite stop for bikers, which is always a good sign for bar with character in rural parts of the state.